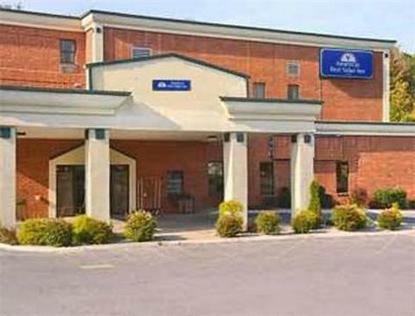 The Americas Best Value Inn is a charming four story indoor corridor Facility which offers 80 spacious Guest Rooms, three Suites and two ADA Compliant Rooms. We are in the perfect location, whether you are traveling for business or leisure. We are close to Restaurants, Businesses, and local Landmarks. We offer our Leisure Time Bar and Grill on premises. Guests of Americas Best Value Inn are given a 10 percent restaurant discount at the Leisure Time Bar and Grill. All our Suites have Microwave, Mini-Fridge, a Sitting Area and Sofa Bed. All Guest Rooms and Suites are furnished with Complimentary Hi-Speed Internet, Coffeemakers, Satellite TV with HBO, Iron, Ironing Board, Hairdryers, Complimentary local Calls, Voice mail, and Wakeup Service. For business travelers we offer Fax and Copy service. Additionally we have a heated Indoor Pool. Our friendly and experienced Staff invites you to be our Guest and enjoy the value of staying with Americas Best Value Inn. .